Pan is made by SS 304 (SS 316 optional). Totally enclosed with MS cladding with a standard gearbox, motor, and hot air blowing arrangement. Designed with M.S. fabricated structure and all arrangement except electric control, and SS Pan is inside the enclosure, which makes simple cleanable outside covering. 30”, 36”, 42” or 48” Coating Machine has variable speed drive. Hot air blowing system is separate. 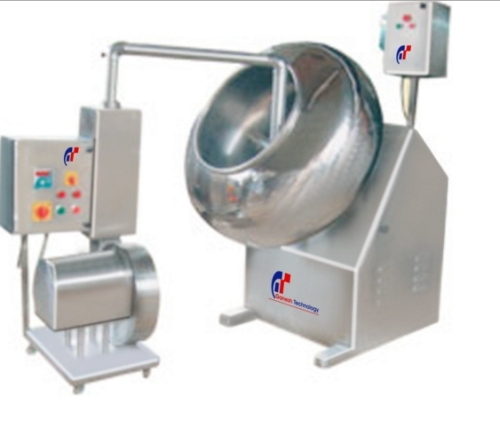 60” or 72” Coating Machine has two speeds with step pulley without hot air blowing system.